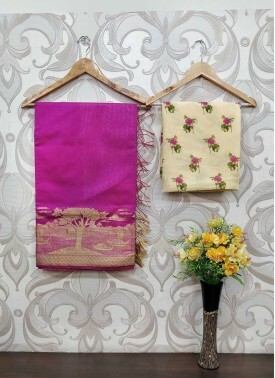 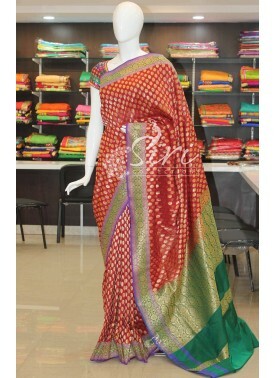 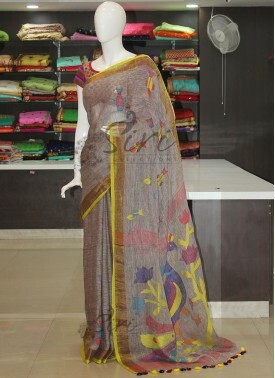 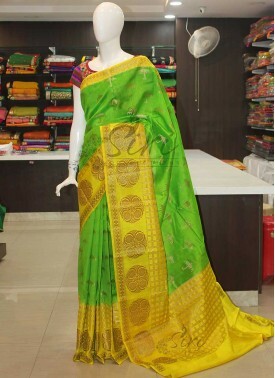 Pure Handloom Banarasi Net Saree in Yellow with Silver Zari. 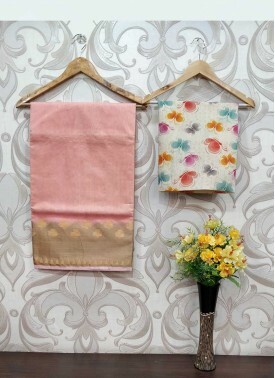 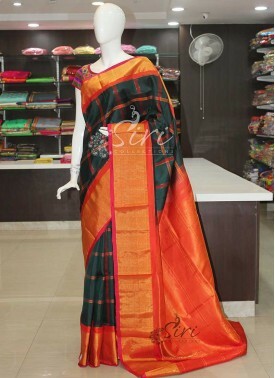 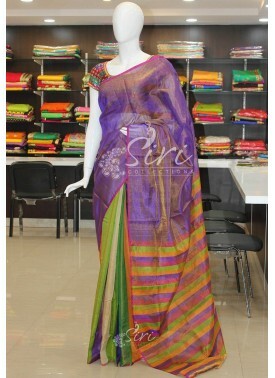 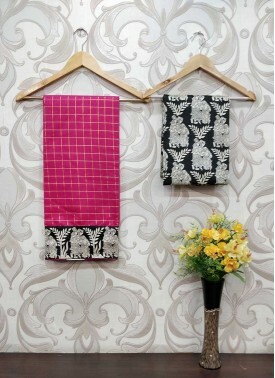 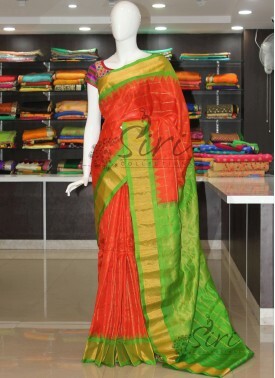 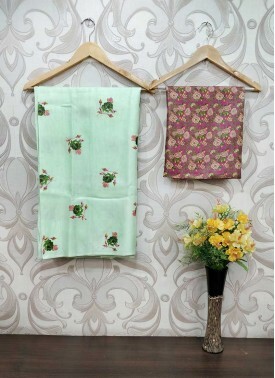 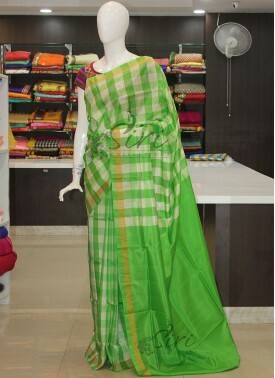 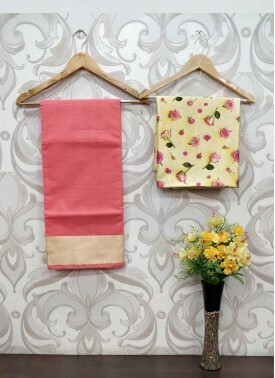 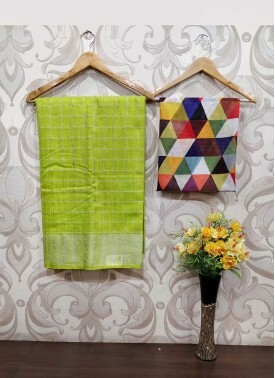 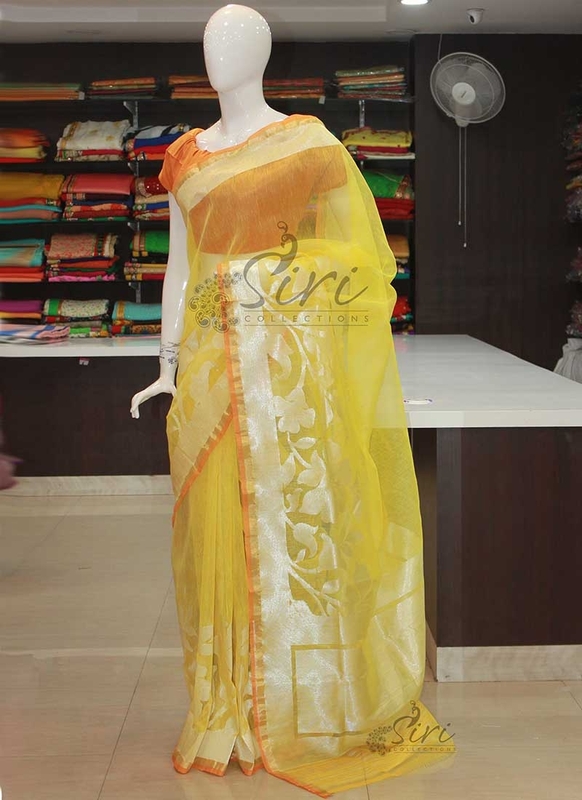 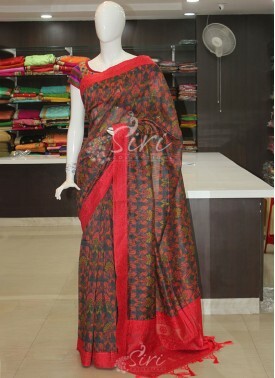 It comes with an unstitched running orange yellow double shade blouse fabric. 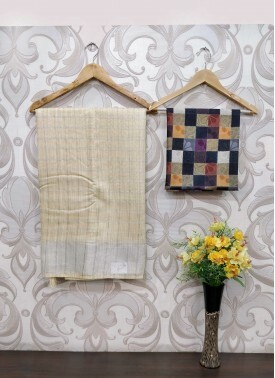 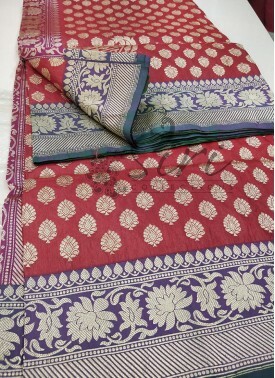 Please note that a textured effect where we can see the weaving & threads are visible in different directions which is a inherent characteristic or feature of that fabric and proof of its authenticity. 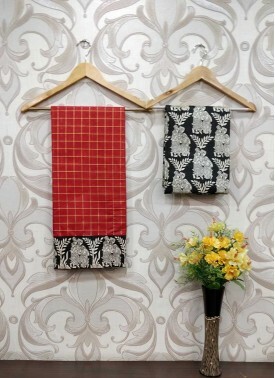 These are not defects. 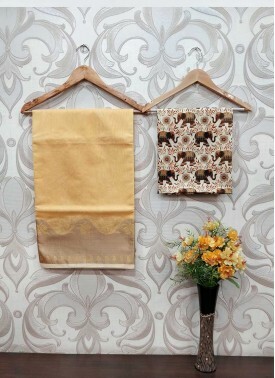 This raw finish is the beauty of these fabrics. 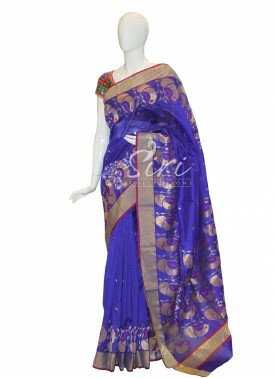 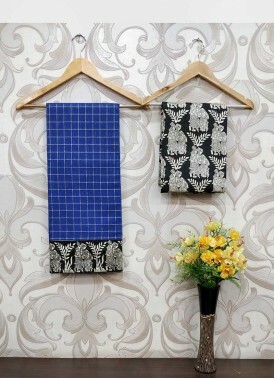 Royal Blue Pure Chanderi ..